The University of California, Santa Cruz (also known as UC Santa Cruz or UCSC), is a public, collegiate university and one of 10 campuses in the University of California system. Located 75 miles (120km) south of San Francisco at the edge of the coastal community of Santa Cruz, the campus lies on 2,001 acres (810Â ha) of rolling, forested hills overlooking the Pacific Ocean and Monterey Bay. Founded in 1965, UC Santa Cruz began as a showcase for progressive, cross-disciplinary undergraduate education, innovative teaching methods and contemporary architecture. Since then, it has evolved into a modern research university with a wide variety of both undergraduate and graduate programs, while retaining its reputation for strong undergraduate support and student political activism. The residential college system, which consists of ten small colleges, is intended to combine the student support of a small college with the resources of a major university (this concept is not unlike that at southern California's private Claremont Colleges, which was implemented 40 years earlier with five small colleges). George Blumenthal, UCSC's 10th Chancellor, intends to mitigate growth constraints in Santa Cruz by developing off-campus sites in Silicon Valley. The NASA Ames Research Center campus is planned to ultimately hold 2,000 UCSC students â" about 10% of the entire university's future student body as envisioned for 2020. The 2,000-acre (810Â ha) UCSC campus is located 75 miles (121Â km) south of San Francisco, in the Ben Lomond Mountain ridge of the Santa Cruz Mountains. Elevation varies from 285 feet (87Â m) at the campus entrance to 1,195 feet (364Â m) at the northern boundary, a difference of about 900 feet (270Â m). The southern portion of the campus primarily consists of a large, open meadow, locally known as the Great Meadow. To the north of the meadow lie most of the campus' buildings, many of them among redwood groves. The campus is bounded on the south by the city's upper-west-side neighborhoods, on the east by Harvey West Park and the Pogonip open space preserve, on the north by Henry Cowell Redwoods State Park near the town of Felton, and on the west by Gray Whale Ranch, a portion of Wilder Ranch State Park. The campus is built on a portion of the Cowell Family ranch, which was purchased by the University of California in 1961. The northern half of the campus property has remained in its undeveloped, forested state apart from fire roads and hiking and bicycle trails. The heavily forested area has allowed UC Santa Cruz to operate a recreational vehicle park as a form of student housing. There are a number of natural points of interest throughout the UCSC grounds. The "Porter Caves" are a popular site among students on the west side of campus. The entrance is located in the forest between the Porter College meadow and Empire Grade Road. The caves wind through a set of caverns, some of which are challenging, narrow passages. Tree Nine is another popular destination for students. A large Douglas Fir spanning approximately 103 feet (31Â m) tall, Tree Nine is located in the upper campus of UCSC behind College Nine. The tree had been a popular climbing spot for many years but due to environmental corrosion and fear of student injuries, UC ground services sawed off the limbs to make it nearly impossible to climb. For specific directions, reference: directions to Tree Nine For the less experienced tree-climber, students also frequent Sunset Tree located on the east side of the meadow behind the UCSC Music Center. The UCSC campus is also one of the few homes to Mima Mounds in the United States. They are extremely rare in the United States and in the world in general. The university offers 63 undergraduate majors and 35 minors, with graduate programs in 33 fields. Popular undergraduate majors include Art, Business Management Economics, Molecular and Cell Biology, and Psychology. Interdisciplinary programs, such as Feminist Studies, American Studies, Environmental Studies, Visual Studies, Digital Arts and New Media, and the unique History of Consciousness Department are also hosted alongside UCSC's more traditional academic departments. A new joint program, the first of its kind in the University of California system, will enable UC Santa Cruz students to earn a bachelor's degree and law degree in six years instead of the usual seven. The â3+3 BA/JDâ Program between UC Santa Cruz and UC Hastings College of the Law in San Francisco is set to accept its first applicants in Fall 2014. UCSC students who declare their intent in their freshman or early sophomore year will complete three years at UCSC and then move on to UC Hastings to begin the three-year law curriculum. Credits from the first year of law school will count toward a student's bachelor's degree. Students who successfully complete the first-year law course work will receive their bachelor's degree and be able to graduate with their UCSC class, then continue at UC Hastings for the final two years of law study. As of 2012, UCSC's faculty and emeriti include 13 members of the National Academy of Sciences, 26 fellows of the American Academy of Arts and Sciences, and 35 fellows of the American Association for the Advancement of Science. The young Baskin School of Engineering, UCSC's first professional school and home to the Expressive Intelligence Studio, and the Center for Biomolecular Science and Engineering are gaining recognition, as has the work that UCSC researchers David Haussler and Jim Kent have done on the Human Genome Project, including the widely used UCSC Genome Browser. UCSC administers the National Science Foundation's Center for Adaptive Optics. Off-campus research facilities maintained by UCSC include the Lick and Keck Observatories and the Long Marine Laboratory. In September 2003, a ten-year task order contract valued at more than $330 million was awarded by NASA Ames Research Center to the University of California to establish and operate a University Affiliated Research System (UARC). 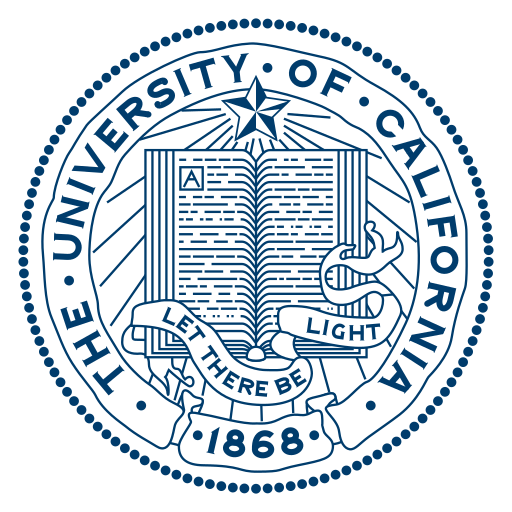 UCSC manages the UARC for the University of California. UC Santa Cruz was 85th in the list of Best National Universities in the United States by U.S. News & World Reportâ'âs 2015 rankings. In 2013 Kiplinger ranked UC Santa Cruz 54th out of the top 100 best-value public colleges and universities in the nation, and 8th in California. Money Magazine ranked UC Santa Cruz 261st in the country out of the nearly 1500 schools it evaluated for its 2014 Best Colleges ranking. The Daily Beast ranked UC Santa Cruz 157th in the country out of the nearly 2000 schools it evaluated for its 2013 Best Colleges ranking. In 2012, it was ranked 67th best by Washington Monthly. In 2014â"2015, UC Santa Cruz was rated 109th in the world by Times Higher Education World University Rankings. In 2014 it was ranked 93rd in the world by the Academic Ranking of World Universities and 307th worldwide in 2013 by the QS World University Rankings. For the fall 2013 term, UCSC offered admission to 20,039 freshmen out of 38,640 applicants, an acceptance rate of 51.9%. The entering freshman class had an average high school GPA of 3.66, and the middle 50% range of SAT scores were 490-630 for critical reading, 510-650 for math, and 490-630 for writing. For most of its history, UCSC employed a unique student evaluation system. With the exception of the choice of letter grades in science courses the only grades assigned were "pass" and "no record", supplemented with narrative evaluations. Beginning in 1997, UCSC allowed students the option of selecting letter grade evaluations, but course grades were still optional until 2000, when faculty voted to require students receive letter grades. Students were still given narrative evaluations to complement the letter grades. As of 2010, the narrative evaluations were deemed an unnecessary expenditure. Still, some professors write evaluations for all students while some would write evaluations for specific students upon request. Students can still elect to receive a "pass/no pass" grade, but many academic programs limit or even forbid pass/no pass grading. A grade of C and above would receive a grade of "pass". Overall, students may now earn no more than 25% of their UCSC credits on a "pass/no pass" basis. Although the default grading option for almost all courses offered is now "graded", most course grades are still accompanied by written evaluations. The McHenry Library houses UCSC's arts and letters collection, with most of the scientific reading at the newer Science and Engineering Library. The McHenry Library was designed by John Carl Warnecke. In addition, the colleges host smaller libraries, which serve as quiet places to study. The McHenry Special Collections Library includes the archives of Robert A. Heinlein, the largest collection of Edward Weston photographs in the country, the mycology book collection of composer John Cage, a large collection of works by Satyajit Ray, the Hayden White collection of 16th-century Italian printing, a photography collection with nearly half a million items, and the Mary Lea Shane Archive. The latter contains an extensive collection of photographs, letters, and other documents related to Lick Observatory dating back to 1870. A 82,000-square-foot (7,600Â m2) new addition to the library opened on March 31, 2008, including a "cyber study" room and a Global Village cafÃ©. The original 144,000-square-foot (13,400Â m2) library reopened on June 22, 2011 after seismic upgrades and other renovations. In 2008, UCSC agreed to house the Grateful Dead archives at the McHenry Library. UCSC plans to devote an entire room at the library, to be called "Dead Central," to display the collection and encourage research. UCSC beat out petitions from Stanford and UC Berkeley to house the archives. Grateful Dead guitarist Bob Weir said that UCSC is "a seat of neo-Bohemian culture that we're a facet of. There could not have been a cozier place for this collection to land." Silicon Valley entrepreneurs and Dead fans Roger McNamee and Bill Watkins are expected to join a committee to oversee and raise funds for the project. The archive became open to the public July 29, 2012. UC Santa Cruz is also well known for its cannabis culture. On April 20, 2007, approximately 2,000 UCSC students gathered at Porter Meadow to celebrate the annual "420". Students and others openly smoked marijuana while campus police stood by. The once student-only event has grown since the city of Santa Cruz passed Measure K in 2006, an ordinance making marijuana use a low-priority crime for police. The 2007 event attracted a total of 5,000 participants. The university does not condone the gathering, but has taken steps to regulate the event and ensure security for all participants. On April 20, 2010, the school administration shut down the west entrance to campus and limited the amount of buses that could drive through campus. The Student Union Assembly was founded in 1985 to better coordinate bargaining positions between students and administration on campus-wide issues. All the residential colleges and six ethnic and gender-based organizations send delegates to SUA. There is a total of 138 recognized student groups as of 2008. Leviathan Jewish Journal'', a Jewish student life publication. In addition to the residential colleges, housing is available at the Village on the lower quarry, populated by continuing, transfer, and graduate students; the Redwood Grove Apartments, usually available to applicants from all colleges, is reserved for Porter affiliates in 2014-15; and the University Town Center, located downtown, that primarily serves international students. The Transfer Community houses over 400 new transfer students and is located at Porter College. Graduate Student Housing is available near Science Hill, and UCSC also offers Family Student Housing units as well as a Camper Park for student-owned trailers and RVs. In 2003, the campus gained national notoriety when MTV's reality show Fraternity Life documented the lives of students pledging Delta Omega Chi. During the shooting, a few of the students fished a 15-year-old koi named Midas out of a pond at Porter College, barbecued it, and ate it. Since the incident was captured on video, the individuals involved were charged with misdemeanor grand theft and vandalism. Greek life at UCSC includes fraternities Sigma Lambda Beta, Tau Kappa Epsilon, Sigma Pi, Lambda Phi Epsilon, Sigma Phi Zeta, Alpha Epsilon Pi, Pi Alpha Phi, and Delta Lambda Psi, the nation's first gender neutral queer Greek organization. Sororities on campus include Delta Sigma Theta, Sigma Lambda Gamma, Sigma Alpha Epsilon Pi, alpha Kappa Delta Phi, Gamma Phi Beta, Kappa Kappa Gamma, Sigma Pi Alpha, Tri Chi, Sigma Omicron Pi, Kappa Zeta, and Alpha Psi. The most recent addition to Greek life at UCSC was Lambda Theta Alpha, a Latina sorority which was established in Fall 2012. Climate Action Plan moved to the Sustainability Office. Campus Sustainability Plan revised and version 1.5 released. New Climate Action Manager, Sustainability Internship Coordinator, and Sustainability Coordinator hired, along with near 30 student interns. Landfill and Waste Diversion Task Force established in order to achieve Zero Waste by 2020. Pilot Sustainability Internship Program (IDEASS), hosts approximately 25â"30 interns in for-credit course working on campus and community projects, collaboratively organized with Engineering and Social Sciences. Launch of Friends of the Sustainability Office (FoSO), a student organization dedicated to train student leaders and outreach to the campus about sustainability efforts, events, and opportunities. Launch of Students for Sustainability through Institutional Transformation and Engagement (SSITE), a student organization that focuses on policy, student professional training, and institutional change. Creation of an online Sustainability Project Clearinghouse to document completed, ongoing, and potential sustainability projects and match students with staff and faculty partners. Pilot of green office certification program, Program Recognizing Offices Practicing Sustainability (PROPS) completed. Host of Inter-organization sustainability retreat, featuring over 80 student leaders. Assessed UCSC according to AASHEâs Sustainability Tracking and Rating System (STARS). Release of Campus Sustainability Plan 1.0. New Sustainability Internship Coordinator and Climate Action Manager hired, along with 20 student interns. Students pass fee measures to fund student engagement with the Sustainability Office and climate protection projects. Over $180,000 in grant funding establishes IDEASS, a collaboratively organized campus and community sustainability internship program. Host of 2nd Annual Sustainability Celebration and Planning Session. Ongoing support for the Committee on Sustainability and Stewardship and eight associated Sustainability Working Groups. Chancellor's Executive Committee on Sustainability and Climate Change established (replacing CCCC). The Sustainability Office receives funding for the years 2009-2012. Sustainability Coordinator promoted to Sustainability Manager. New Sustainability Coordinator and Sustainability Project Liaison hired, along with 4 student interns. Draft Climate Action Plan released. Pilot Sustainability Office moved to Physical Planning and Construction. Chancellor's Council on Climate Change (CCCC) launches with the help of the Sustainability Office. Pilot Sustainability Office established with funding until 2009. Sustainability Coordinator hired, along with two student interns. Chancellor signs the Climate Action Compact and the American College and University Presidents Climate Commitment. UC Policy on Sustainable Practices expanded. Green Campus Program, a student internship program for energy efficiency, water conservation, and green jobs development, developed. Committee on Sustainability and Stewardship (CSS) established, 2006. UC Policy on Sustainable Practices released in 2004. Student Environmental Center (SEC) established in 2001. UCSC competes in Division III of the NCAA as an Independent member. There are twelve varsity sports (men's and women's basketball, tennis, soccer, volleyball, swimming and diving, women's golf, and women's cross country). UCSC teams are nationally ranked in tennis, soccer, men's volleyball, and swimming. By defeating Emory to win the 2007 National Championship in men's tennis, UCSC has won six men's tennis team championships. The Banana Slugs were also runners-up in men's soccer in 2004. In the 2006 season, the men's water polo team won the Division III championship, as well as an overall ranking of 19th in the nation. However, both the men and women's water polo teams were cut in 2008 due to budget constraints. In 2012, the Men's Volleyball Team made a Division III NCAA Semifinal's appearance. In 2013, the Men's Volleyball Team qualified for a second appearance to the Division III NCAA Tournament. UCSC is one of the largest but one of the least funded NCAA Division III members. Starting in 2013, both men's and women's basketball teams played downtown at the Kaiser Permanente Arena. In addition to its NCAA sports, UCSC maintains a number of successful club sides including its women's rugby team, which won the Division II National Collegiate Championship during its '05â"'06 season and has competed at Nationals several times since, most recently in 2010 and 2013. UCSC also fields a men's lacrosse team, which competes against other western universities in the WCLL. After a highly successful 2008 season, the team traveled to Texas for nationals. Although UCSC never had a track, the residential colleges regularly competed in an improvised "Slug Run" every spring from 1967 to 1982, though the Run now is a community event and fundraiser event hosted by the cross-country club for much needed fund to pay for entry fees, hotel, and transportation to race. Approximately 25% of the student population participates in intramural athletics, which tend to be better funded than the intercollegiate athletic programs. UCSC's mascot is the banana slug (specifically, Ariolimax dolichophallus), In 1975 the UCSC club soccer team chose the mascot the "Banana Slugs". UCSC had no formal team sports (and no fraternities) at the time, therefore they had no mascot. Three team members, Larry DeGhetaldi, Fred Bicknell, Sven Steinmo and their roommate, Richard Hedges, chose to name the team the Banana Slugs before an All Cal tournament. They felt that UCSC should have a mascot too. The team's unusual name was noted by the San Jose Mercury News after the team suffered an humiliating defeat against the San Jose State Spartans. Several years later, when the "club" basketball team became more formalized (with a coach and expanded schedule), the athletic director at the time, Terry Warner, informed the team that they needed to have a mascot and that it had been chosen to be the Sea Lions. The team summarily rejected that name, claiming to not need any mascot. As such, their uniforms simply said "UCSC" on them. In 1981, when the university began more formally participating in NCAA intercollegiate sports, the then-chancellor and some student athletes declared the mascot to be the "sea lions." Most students disliked the new mascot and offered an alternative mascot, the banana slug. In 1986, students voted via referendum to declare the banana slug the official mascot of UCSC â" a vote the chancellor refused to honor, arguing that only athletes should choose the mascot. When a poll of athletes showed that they, too, wanted to be "Slugs", the chancellor relented. The June 16, 1986, issue of People magazine featured a full-page spread dedicated to the selection of the Banana Slug as the official mascot of UCSC. In February 2008, ESPN Sports Travel named the UCSC Banana Slug as one of the ten best nicknames in college basketball. The "Fiat Slug" logo prominently featured on campus is a trademark of UCSC owned by the Regents. It was developed by two students during the mascot controversy, who later incorporated as "Oxford West" and licensed their design from the Regents to produce clothing inspired by the university. The slug also is featured along with the school's logo on Vincent Vega's T-shirt in the 1994 film Pulp Fiction. A sea lion statue can still be seen in front of the Thimann Hall lecture building.